I need your help in naming this smoothie. I don’t know what to call it so I’m calling on YOU to name it for me. 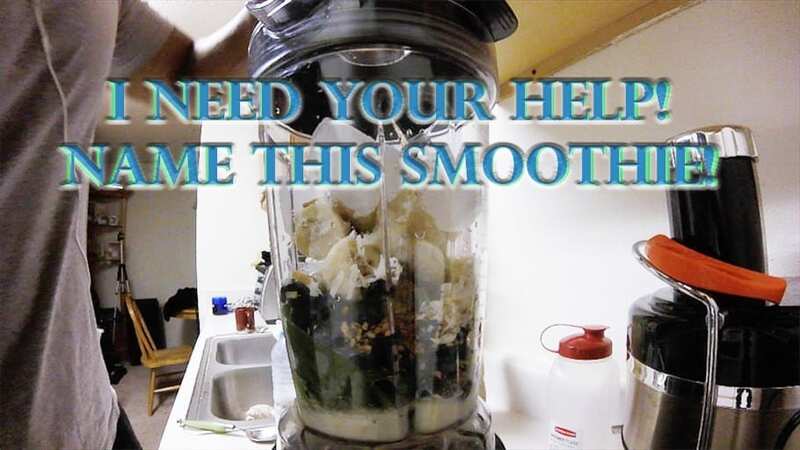 Please leave the suggested name for the smoothie in the comment section below. I will choose the official name/ winner in a few days. I have provided a video for you to watch to help me out. Thanks in advance! I’M SO AMPED! I GOT RT’D BY THE GREAT CT FLETCHER!!!! This entry was posted in SMOOTHIE RECIPES and tagged almond milk, BANANAS, BLUEBERRIES, diet, flax seeds, smoothie, spinach, WEIGHTLOSS. Bookmark the permalink. Blunana nutfeast? Haha! Or a protiblunana! Looks so good, I don’t know how you come up with these great combos!